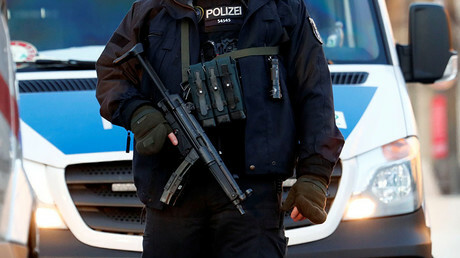 German police targeted suspected Al-Nusra Front affiliates during large-scale raids across the federal state of North Rhine-Westphalia, looking for evidence of aiding Islamist militants in Syria, according to the Federal Prosecutors’ Office. Numerous flats and facilities have been searched across North Rhine-Westphalia (NRW), and also the UK, according to a statement released by the Federal Prosecutor's Office. It noted that the operation was part of the ongoing investigation involving two suspected affiliates of Al-Nusra Front, accused of having supported the terrorist group for several years. The suspects allegedly collected donations and arranged “aid convoys” to deliver food, medicine and medical equipment to Islamist militants fighting in Syria, the statement said. The deliveries were going to Syria through organizations identified as ‘Medizin mit Herz’ (Medicine of Heart) and ‘Medizin ohne Grenzen’ (Medicine without Borders). The Prosecutor's Office refused to disclose further details of the operation citing “the ongoing investigation,” but added it ordered the NRW criminal police to carry on with the inquiry. 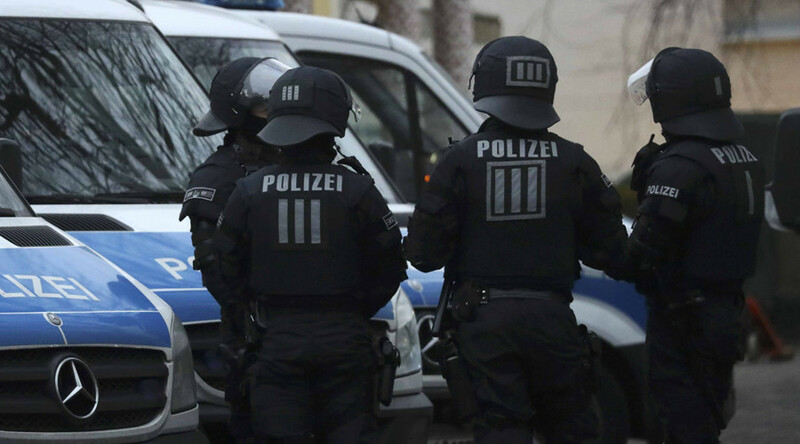 Though further details of the searches were not immediately available, the investigation comes on the heels of the German government’s efforts to foil lone-wolf terrorists and underground Islamist networks. Following the Christmas market attack in Berlin that resulted in 12 fatalities and revealed remarkable security gaps, German police and intelligence agencies have intensified the pace and scale of the anti-terrorism operation. The suspect, Tunisian national Anis Amri, pledged allegiance to Islamic State (IS, formerly ISIS/ISIL) in a video message that emerged online after the attack. Last Wednesday, around 1,100 police officers conducted surprise raids on 54 flats, mosques, and industrial facilities in several cities, including Frankfurt, Offenbach, and Darmstadt, nabbing 16 terrorist suspects on Wednesday, including a recruiter and human trafficker linked to IS. The operation followed a separate night raid in Berlin in late-January that led to the detention of three suspects with alleged links to IS. All of the suspects were part of a “widespread Salafist network” said to have been planning a terror attack, according to the regional Interior Ministry.